Fully equipped systems to perform a multitude of demonstrations. These systems come with all the tools need to facilitate the simulations and study many of the basic landforms for Earth Science. 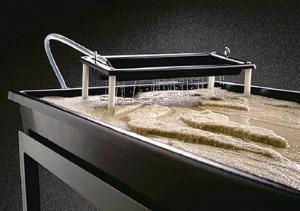 The Wave maker allows formation of sand bars along the lake edge, with adequate water level and sediment size. "Up-Lifted" beach terraces can be formed or eroded, in succession with the lake level, also allows the study of beach erosion, bays, sand bars and simulating waves approaching jetties or other shoreline formations. 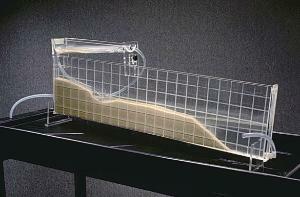 The Rainfall simulator allows the user to obtain a more advanced climate in the study. The two-tiered simulator permits the user to produce a "heavy downpour" or a "gentle rain". The amount of water placed in the simulator can be maintained by the power pack. The Contour grid contains etched 5 cm squares for plotting changes and sediment deposits. Outline the stream course on the grid. As water flows through the stream, altering its course, then compare the bank changes, sediment deposits, stream accuracy and interpretation. 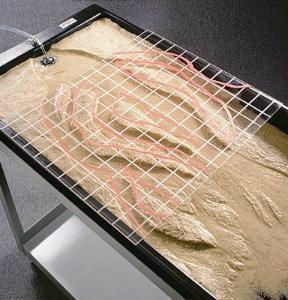 The Terrain feature model placed in the lake area of the stream table, the Contour grid system permits tracing of waterline contours of successive depths. The result is a topographic map whose detail is dependent up the contour interval. 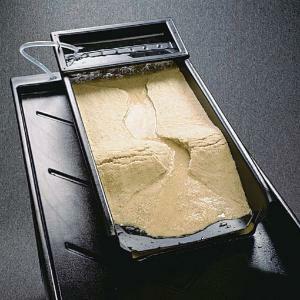 Terrain Feature Model includes replicas of a young river, volcano, mountain peak, meandering river, an "Oxbow" lake, and a receding shoreline. The Crustal stress simulator allows the study of changes in the earth's crust. The flowing stream may develop a fold in the earth's crust, forming water gaps, ponds, and trellis drainage patterns. The Sedimentation chamber allows for study of differential settling rates, delta building, and shoreline erosion. 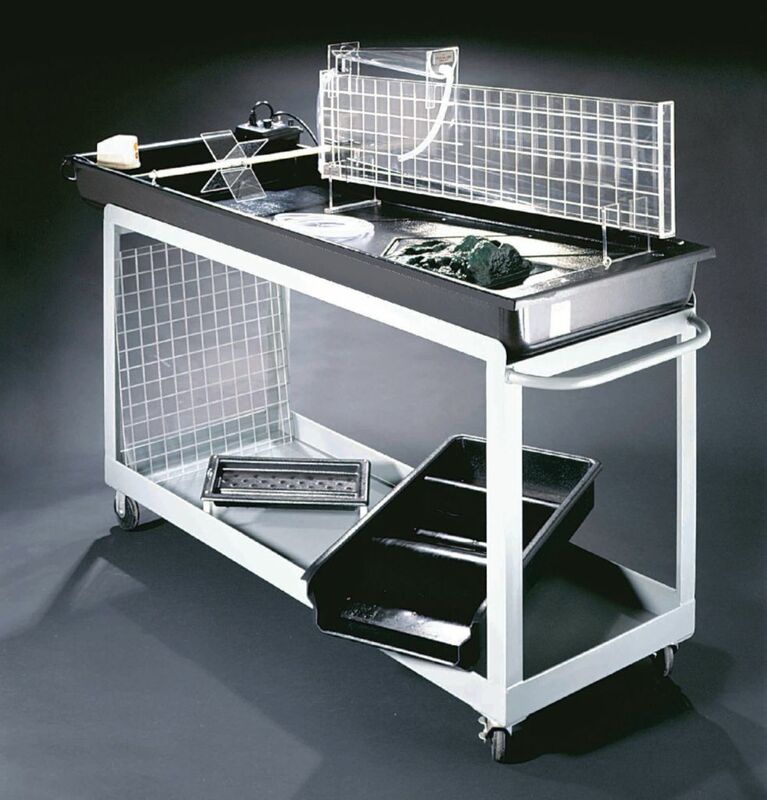 Delivery information: Each package comes with a water pump, wave maker; 32 page stream table investigations guide, rainfall simulator, terrain feature model, contour map grid, and a steel cart. 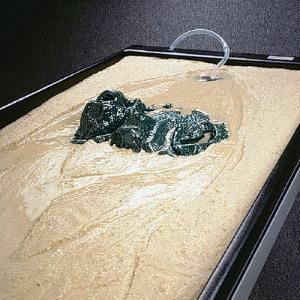 The Super Landform Simulator also comes with a crustal stress simulator and sedimentation chamber.